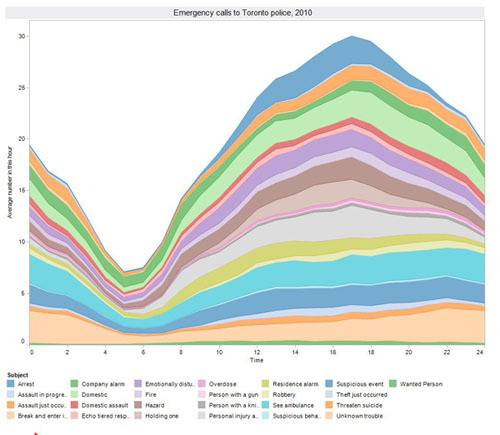 We’ve had a monstrous data set (over half a million lines) around for a very long time (since some point last summer) showing the time but not date of a year’s worth of Toronto police dispatch calls by category – ‘assault in progress and so forth’. The reason we never did anything with it had to do with not seeing how to visualize it in the way you see below. (The concept owed a lot to this graphic).